INVESTING USING THE PRINCIPLES OF THE AUSTRIAN SCHOOL OF ECONOMICS IS NOW IN VOGUE! Since the 2008 Financial Crisis, central bankers of most developed countries have been engaged in what many economists refer to as the Great Experiment. This policy experiment has consisted of such activities as quantitative easing, ZIRP (zero interest rate policy), Operation Twist, and other terms for these activities. After 7 years, global economies are stagnant and world trade is falling. Most people are confused but they need not be. A body of economic theory developed since 1870 eventually becoming called the the Austrian School of Economics has served well to help understand what is happening and why. This economic theory states that policy changes which allow free markets result in economic growth and wealth creation, whereas interventionist policies are not market friendly and result in economic stagnation with the decline of wealth. Many investors and institutions are now considering applying the principles of the Austrian School of Economics towards investing. We explore some of these principles here in identifying the generic types of investment assets and an associated investment approach process which align with the Austrian School of Economics (ASE) perspective. Market professionals now acknowledge markets have become dysfunctional and extremely risky. Though the current monetary policies are new; bad monetary policy is not new! Poor monetary policy has been rampant throughout areas such as Latin America. We can learn from their experience! Ramiro revisits the history of Argentina: “When Argentina regained democracy in 1983 we had a government that from an economic standpoint did not do that well. They ran fiscal deficits and prices of exports were poor. By the end of this government in 1989 the country was heavily in debt with inflation. At the same time they paid high interest rates on deposits so people kept deposits in the bank. With these deposits the banks were able to buy government debt. In 1990 the government enacted (at midnight while everyone was asleep!) a program where everyone that had deposits received a bond.” Literally, overnight their deposits were taken with no recourse. The result? “Maybe people were able to earn a rate higher than inflation before, but all of a sudden they lost everything!” The government did not have the money to pay the money owed on the bonds it had issued. This was a way to reset and issue a new long term bond.” Argentineans have experience in their bank deposits being taken from them. This is one of the risks associated with financial repression. There are many lessons to be learned from countries that have experienced Financial Repression. Maybe the most important is that some like Argentina are 15-20 years ahead in regard to financial repression investment strategies. Government actions are very predictable when debt becomes too large for officials to handle. And the principles of the ASE can help to navigate through the challenges of investing in this environment. If we take what we have learned from Ramiro and take into account the principles of the ASE, we can come with an investment approach which we think makes sense in this environment. This is the approach now being taken by an emerging number of asset wealth managers following the ASE in their investment approach. The Austrian School, also known as the “Vienna School” or the “Psychological School,” is a school of economic thought that advocates adherence to strict methodological individualism. As a result Austrians hold that the only valid economic theory is logically derived from basic principles of human action. Alongside the formal approach to theory, often called praxeology, the school has traditionally advocated an interpretive approach to history. The praxeological method allows for the discovery of economic laws valid for all human action, while the interpretive approach addresses specific historical events. While the praxeological method differs from the method advocated by the majority of contemporary economists, the Austrian method derives from a long line of deductive economic thought stretching from the fifteenth century to the modern era and including such major economists as Richard Cantillon, David Hume, A.R.J. 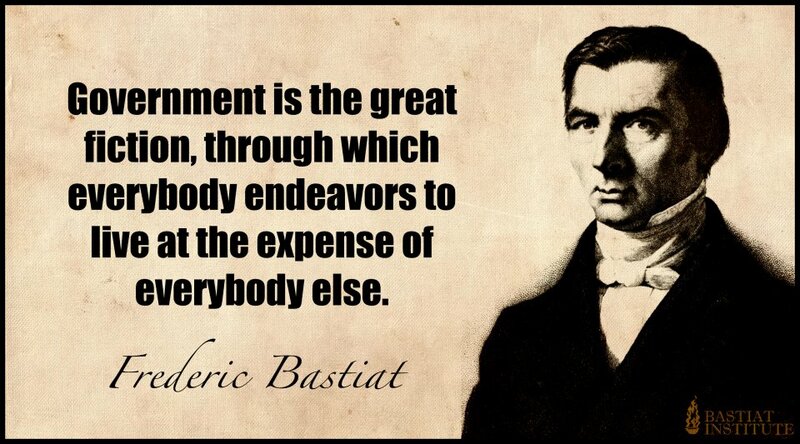 Turgot, Adam Smith,Jean-Baptiste Say, David Ricardo, Nassau Senior, John Elliott Cairnes, and Claude Frédéric Bastiat. The core of the Austrian framework can be summarized as taking a “subjectivist approach to marginal economics,” and a focus on the idea that logical consistency of a theory is more important that any interpretation of empirical observations. Their idea that value derives from utility, not from the labor invested in its production, contradicted Karl Marx‘s labor theory of value that ignored the ability of an item to satisfy human wants as a measure of its value. The most famous Austrian adherents are Carl Menger, Eugen von Böhm-Bawerk, Friedrich von Wieser, Ludwig von Mises, Friedrich Hayek, Gottfried von Haberler, Murray Rothbard, Israel Kirzner, George Reisman, Henry Hazlitt, and Hans-Hermann Hoppe. While often controversial, and standing to some extent outside of the mainstream of neoclassical theory—as well as being staunchly opposed to much of Keynes‘ theory and its results—the Austrian School has been widely influential because of its emphasis on the creative phase (the time element) of economic productivity and its questioning of the basis of the behavioral theory underlying neoclassical economics. Nature of information Knowledge and information are subjective, disperse and change constantly. Radical distinction between scientific knowledge (objective) and practical knowledge (subjective) Complete, objective and constant information on ends and means assumed. There is no distinction between practical (entrepreneurial) knowledge and scientific knowledge. Reference point There is no distinction between micro and macro: all economic problems are studied in relation to each other Model of equilibrium. Separation between microeconomics and macroeconmics. Relation with the empirical world Aprioristic-deductive reasoning. Radical separation and, at the same time, coordination between theory (science) and history (art).History cannot prove theories. Empirical falsation of hypotheses (at least rhetorically). ASE believes VALUE does not exist in things, but in the MINDS of the individuals who value them. According to the Austrian School of Economics, there is no objectively measurable value of a good, and according to Carl Menger’s theory of subjective value, the value of a good is derived from the marginal utility with regard to the end it is meant to serve. The two leading Austrian economists of the 20th century were Ludwig von Mises and Friedrich A. Hayek. 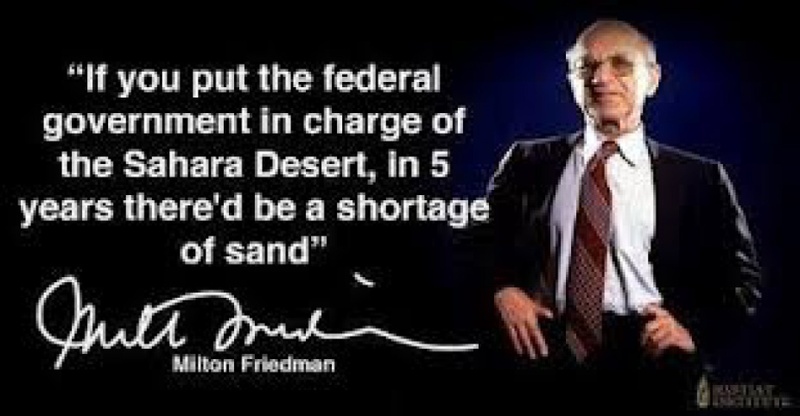 Mises (in the 1920s) and Hayek (in the 1940s) both showed that a complex economy cannot be rationally planned because true market prices are absent. As a result: The information critical for centralized planning cannot be obtained. Effectively, sustained planning by the Central Bankers should be expected to fail. It cannot determine value since value is completely subjective. A product’s value is found in its ability to satisfy human wants, not government regulations and nor central banker edicts. Moreover, the actual value depends on the product’s utility in its least important use (i.e.marginal utility). This theory of value also supplies an answer to the so-called “diamond-water paradox,” which economist Adam Smith pondered but was unable to solve. Smith noted that, even though life cannot exist without water and can easily exist without diamonds, diamonds are, pound for pound, vastly more valuable than water. The marginal-utility theory of value resolves the paradox. Water in total is much more valuable than diamonds in total because the first few units of water are necessary for life itself. But, because water is plentiful and diamonds are scarce, the marginal value of a pound of diamonds exceeds the marginal value of a pound of water. The idea that value derives from utility contradicted Karl Marx’s labor theory of value, which held that an item’s value derives from the labor used to produce it and not from its ability to satisfy human wants. The theory of marginal utility was applied to production as well as to consumption. Friedrich von Wieser based the value of productive resources on their contribution to the final product, recognizing that changes in the amount used of one productive factor would alter the productivity of other factors. He also introduced the concept of opportunity cost: Wieser showed that the cost of a factor of production can be determined by its utility in some alternative use—i.e., an opportunity forgone. The concept of “opportunity cost,” as identified by Wieser, is still widely used in modern economic analysis. Eugen von Böhm-Bawerk developed marginal-utility analysis into a theory of price. Böhm-Bawerk is best known, however, for his work on capital and interest, in which he emphasized the role of time in determining the value of goods. He viewed interest as the charge for the use of capital—a compensation to the owner for abstaining from present consumption. The rate of interest was determined by the size of the labor force, the amount of a community’s capital, and the possibility of increasing productivity through methods of production. What has occurred from the financial crisis is a combination of currency wars and expansion of the money supply. This is intentionally debasing the value of many currencies concurrently. Prices of assets have gone up as the currency wars have debased currencies relative to their value. 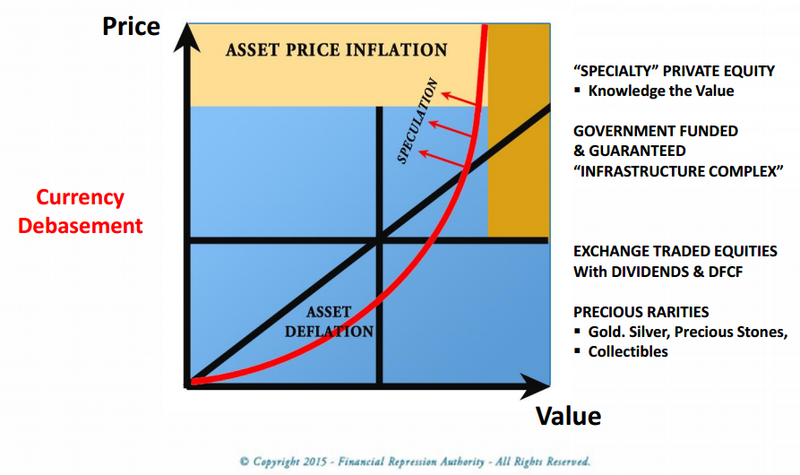 What this has done is to distort the price axis on this price-value diagram analyzing asset price versus asset value in this new era of investing. Since the 2008 Financial Crisis, we have witnessed unprecedented asset price inflation. This has shifted our idealized linear Price-Value relationship (above) into something more geometric. We now receive less value for new higher price levels. We are getting “less for more”. In a properly functioning capitalist system we should be able to “get more for less”! Higher value assets consequentially become significantly higher priced as they are sought out by more and more smart money investors understanding the difference between price and value. The Incrementum Inflation Signal Indicator becomes an important tool for managed asset allocation in this shifting environment. This indicator is based on a proprietary method from Incrementum, and is formulated upon an approach to investing based on the principles of the ASE. The indicator is an inflation-deflation indicator signal and represents perhaps the most important macroeconomic metric for the financial markets. What emerges is an increasing premium paid for value. Value becomes an emphasis about scarcity. Not scarcity of physical materials but rather scarcity on money making “Ideas”. This scarcity of “Ideas” becomes a more important driver than ever before. Scarcity today is about Knowledge and Innovation that generates Real Total Return Wealth, not physical materials which become commodities. Innovation and knowledge foster value. These related sectors are already becoming the top investment portfolio performers. The above pyramid illustrates the application of asset category types to the ASE principles of investing presented. More and more investment institutions understand the importance of the above pyramid. They increasingly focus on the shift dynamic price and value. They realize that money is no longer a store of value and that in a debasing fiat currency environment their investment thinking must be altered. The recent BOAML survey of large institutions was very telling when it showed that institutions for the first time since the financial crisis are beginning to value a barbaric store of value such as gold! Expect this shift to the broad realm of hard assets to accelerate. Based upon our research and our many interview discussions on our program show with some of the best industry leaders, economists and fund managers, we emphasize that an approach based on an investment process is just as important as investment asset allocation in this environment. This process helps to maintain the store of value in investments. What this means in practice is the necessity of performing the following process on an on-going basis. Working together with our professional solution partners, FRA is knowledgeable and experienced in executing this process diligently. This process will help to minimize the potential for loss or confiscation of investment capital, capital/exchange control challenges, problems with the movement of investment capital and the loss of purchasing power in investment assets. Diversify investment capital geographically in a number of international jurisdictions. Store assets in secure vaults in stable jurisdictions. Analyze and monitor market, credit, operational and geographical risks in jurisdictions currently holding or potentially holding investment capital. Analyze and monitor real interest rates, inflation/deflation rates and currency devaluations in jurisdictions currently holding or potentially holding investment capital. Analyze and monitor regulations and legal issues in jurisdictions currently holding or potentially holding investment capital. Employ a team of fund managers, lawyers and accountants integrated together for wealth management. The FRA is on the path of price-value discovery and is unlocking the emerging strategies that work in this challenging investment environment. The Financial Repression Authority (FRA) is not a registered advisor and does not give investment advice. The FRA comments are an expression of opinion only and should not be construed in any manner whatsoever as recommendations to buy or sell a stock, option, future, bond, commodity or any other financial instrument at any time. While the FRA believes their statements to be true, they always depend on the reliability of his own credible sources. Of course, he recommends that you consult with a qualified investment advisor, one licensed by appropriate regulatory agencies in your legal jurisdiction, before making any investment decisions, and barring that you are encouraged to confirm the facts on your own before making important investment commitments. © Copyright 2015 Financial Repression Authority. The information herein was obtained from sources which the FRA believes reliable, but do not guarantee its accuracy. None of the information, advertisements, website links, or any opinions expressed constitutes a solicitation of the purchase or sale of any securities or commodities. 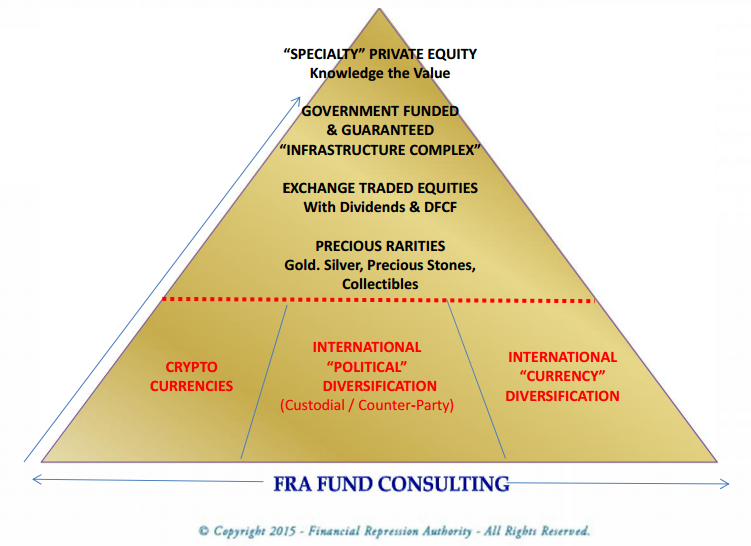 Please note that the FRA may already have invested or may from time to time invest in securities that are recommended or otherwise covered on this website. The FRA does not intend to disclose the extent of any current holdings or future transactions with respect to any particular security. You should consider this possibility before investing in any security based upon statements and information contained in any report, post, comment or suggestions you receive from the FRA.